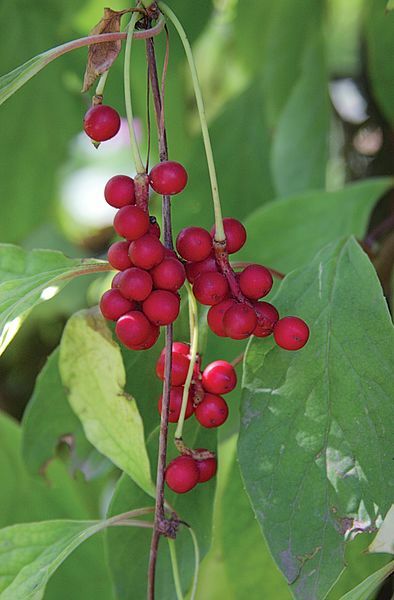 The Chinese Schizandra (also the Chinese Klanopraška ) belongs to the classical adaptogens of Russia and the Far East. Its herbs are used healing, which have a strong stimulating effect. Schizandra is widely used in both TČM and scientific phytotherapy. More information and links can be found in the Szopa2017cks report, which I rely on here , and which I recommend to serious visitors of this plant. It is also worth mentioning here that Schizander (Russian " limonnik ") knows Russian traditional herbalist and uses it for (1) the overall strengthening of the organism especially in fatigue, (2) the suppression of hunger, (3) the increase of vitality, ) slowing down aging and (5) improving mental performance. It can be said that Schizander is a traditional Russian nootropic. 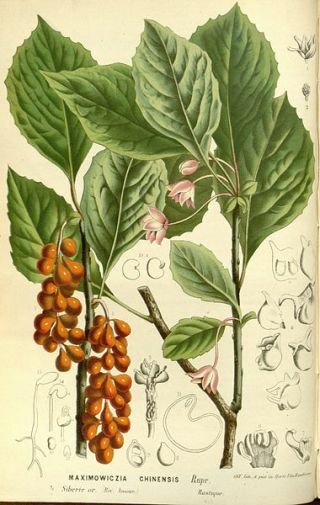 As with other adaptogens, I consider schizandra information about its traditional use (especially in TČM) more authoritative than current research, which is in the infancy. The fetus schizandry is rich in medicinal substances - not in vain, the Chinese schisander is called a berry of five flavors ( u-wei-dz ). According to TČM, Schizandra fruits are strange in that, unlike ordinary herbs that have one or two so-called "flavors", the fruits of the schizandre combine all five "tastes" - salty, sweet, sour, bitter and spicy. (Recall that the TCM sorts the herbs according to two principles of yin and yang , five "tastes" and the 12 bodies of body organs on which they operate.) The scholars tend to say that its fruits combine all possible classes of phytochemicals. The most important schizanders are schizandrin A (dexyschizandrin), gomisin A, schizandrin B, schizandrin C, y-schizandrin, schizantenol, schizanterin A, and schizanterin B. These lignans, with their aromatic and antioxidant nature, resemble polyphenols, but their effect is much wider than just antioxidant action. According to variety, ripeness and quality grades, dried schisander fruits contain between 4-19% lignans schizander . The dried fruit of the schizander is therefore a natural tablet loaded with the active substances. Other schizanders of the fruits are triterpenoids, for example Schizanartanin A and B. Another interesting triterpenoid is the highly oxidized uweidzdilactone I. It is due to its rich color, the fruits of the glycoside schizander called cyanidin-3-O-rutinoside. Schizandra fruits also contain a high percentage of essential oil (up to 3%), which contains oxidized terpenoids (mono- and sesquiterpene), mainly ylangene, β-hemachalen, α-bergamotene and β-chamigren, which together make up to 75% of the Schizander oil content. Schizandra polyphenols consist mainly of chlorogenic acid, p-coumaric, p-hydroxybenzoic, prolinatech, salicylic, syringic and gentisic acids. Schizandra also contains relatively common fruit flavonoids (hyperoside, isokvercitrine, routine and quercetin), phytosterols (stigmasterol, beta sitosterol), monosaccharides (glucose, fructose, arabinose and galactose), antioxidant vitamins C and E, organic acids (citric, fumaric and vinous), minerals and trace elements. Research has confirmed that schizander is antioxidant, protects the liver, prevents the development of tumors and has certain nootropic effects ( Szopa2017cks ). Schizandrin C is one of the most effective hepatoprotective (liver-protecting) agents and is suitable for the treatment of chronic viral hepatitis and liver damage. Lubomir Opletal of the Faculty of Pharmacy of the UK who deals with adapogenics and who analyzed and commented the schizandra lignans ( Opletal2004dlg ). However, the clinical experience of our physicians with schizandra and other adaptogens has not yet reached the depth of the experience of traditional herbalism, and especially of the TCM. Other effects mentioned: cholinergic , neurotrophic , increased mental performance (nootropic effects) , increased physical performance , potency , fatigue , aging .